He might have been thousands of miles, literally, from Tampa Bay during the summer, but Victor Hedman'sthoughts were never far away from the upcoming season. Although his time away from the game in his homeland of Sweden was rather subdued, there's an undeniable excitement in Hedman's voice when the second overall selection of the Lightning in the 1999 Entry Draft speaks of the 2011-12 NHL campaign. And it's easy to understand why the defenceman is eager to get things started. The Lightning will be counting on their big blueliner – he stands 6'6” and weighs 230 pounds – to once again make an impact as he embarks upon his third NHL season. Last year, Hedman appeared in 79 regular season games, scoring three goals and adding 23 assists. He was even better in the playoffs, where he contributed six points in 18 games, while playing stout defence. 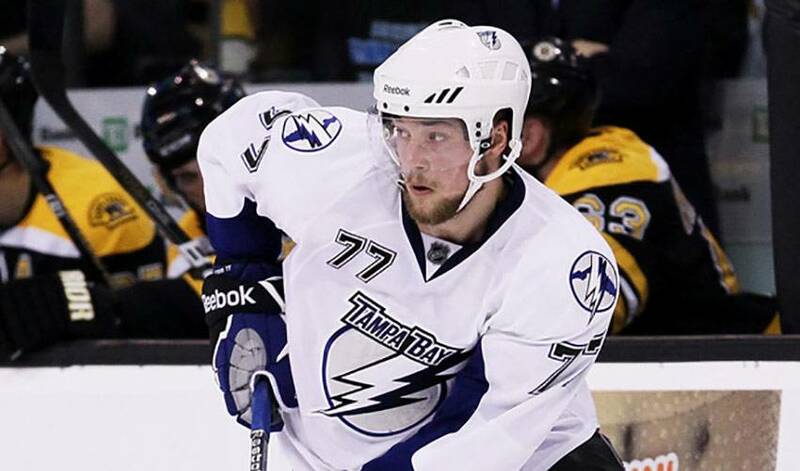 The left-handed shooting rearguard has great expectations, both for himself and the Lightning. Still in the early stages of his career, Hedman, who made his NHL debut for the Lightning on October 3, 2009 against the Atlanta Thrashers, when he registered his first point, an assist on a Martin St. Louis goal, has a solid role model in place, a player he would love to fashion his own career after. Hedman's appears to be well on its way to being quite the same. He played for Sweden at the 2008 World Junior Championships, where he helped the team to a silver medal, losing to Team Canada 3–2 in the final, and was selected to the tournament All-Star Team. He also became one of the youngest players to play for Sweden's national men's team when he made his debut at 17 in an exhibition game against Norway. Hedman, whose first NHL goal was scored on December 5, 2009 against the New York Islanders, also played for the national junior team at the 2009 World Junior Championships in Ottawa, where Sweden met Canada for the second consecutive year in the gold medal game, coming away with another silver medal. Now, Hedman's sights are set on playing his part is bringing the Stanley Cup to Tampa seven years after the franchise won its first championship. But Hedman's more than happy to get by with a little help from his friends.